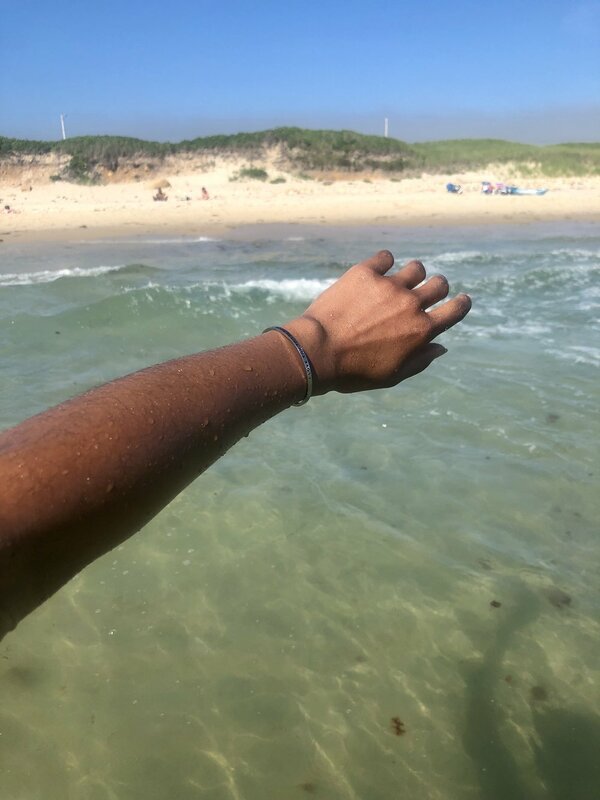 This years trip to Martha's Vineyard was honestly one I will never ever forget, but probably not for the reasons you think. I am about to get so real on here with my emotions because I feel like I have to; I have to get these emotions down because I truly believe that I need help interpreting. I am also hoping that someone takes the time to ingest what I write, and feels compelled to tell me something...anything. I have been struggling since I got back from this trip for more reasons than one. The first being that I am now single, and the second because I am in a position where I haven't been in a long time. For a while when I closed my eyes and thought about my plan and what I wanted to do it was with someone else in mind. That is pretty much how I can describe my life. Always thinking about someone else first before I ever thought about what I wanted or needed. I am not sure if my wanting to focus on myself can be deemed as selfish, but what I do know is that I caused hurt to someone I truly did not mean to. You guys have been following along but you don't know first hand what it feels like not to be liberated in your relationship. Not to feel like someone is feeding you the same way you are feeding them. And if I can describe what I was feeling in the simplest way possible, I would say I was shut down. I was emotionally exhausted and searching for something in my relationship that I felt we couldn't achieve at this point without reflection. Which leads me to where I am now. I almost didn't post about MV because just thinking back on the trip I get so anxious. It was almost like our last big bang. He literally used those words. Our last chance to take mental notes of each other in this moment and this time. I couldn't tell you if it was a goodbye forever...but it was definitely a goodbye with intention. I am searching for something, or striving for something specific right now and I can't really put words to it - Its almost like I felt an insane urge to sit with myself and my thoughts to determine what truly makes ME happy. And when I did that, I had no idea what I was doing not putting myself first at all times. I used this trip to reflect because if I am being quite honest, with the bustle of life and work I have had so much trouble sitting with myself. While on the beach and walking the sunny streets in MV I rediscovered my love to create. I am so grateful that I brought my roomie because she drove me to use my photos and my writing as an outlet. Taking a photo is such a simple act. But creating with intention is something I am invested in moving forward. Now more than ever I feel that I have a clear head and with that I am hoping that there will be great growth. This trip hurt, but I am excited for what is to come among all of this change.